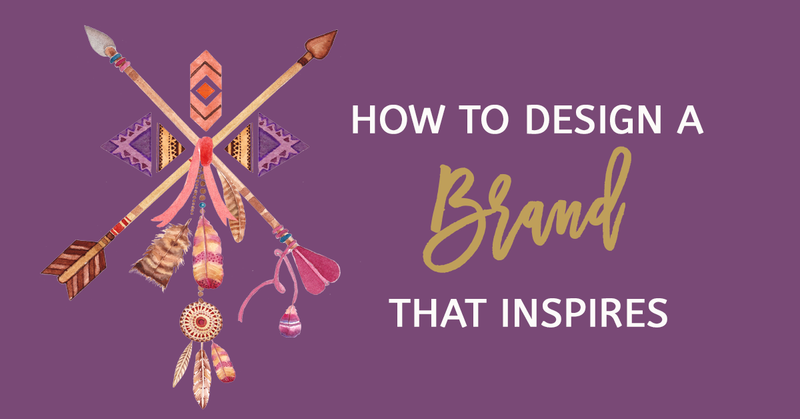 Hi Wild Woman, in this podcast we are going to talk about how to Design A Brand that Inspires! Well it’s almost the end of the 2016, it’s so crazy how time flies. For some of you, you’re probably winding down getting ready to take some time off during the festive season. If you’re an entrepreneur, you’re mind is probably running a million miles an hour, trying to plan all the amazing things that you want to execute in your business in 2017! Maybe you want to redesign your brand and repackage your business? Get a fresh new look! Or, you’re probably thinking about new beginnings and going into the new year with a new project! Maybe you want to quit your job and start your own business? If so, then this podcast is for you! So why is a business brand so important? Think of your business brand as the face of your business. It epitomises everything about you, who you are and what you stand for. Your brand is what makes your customer connect emotionally to your business. The way it looks makes a difference, the way it makes them feel… and the whole purpose of the brand, is to attract and be loved by loyal customers. The brand is one of the most vital and invaluable aspects of a business and when you have a good brand, it will reflect on the way you build your business, from the marketing, to the website, to the customer service and to the way you deliver or package your products or your service. So if you’re thinking about starting a new business or rebranding your current business, take some time to really work on what your brand is. Because when you get it right, you can really make a profound impact. What are the top items we need to consider when designing your brand? First and foremost, how do you want to position yourself in the market? You have the option of selling cheaper than everyone else in the market to having a premium brand. But in saying that, based on my experience, I wouldn’t recommend going out there with a cheap brand. Because if you do, there will always be someone out there who can go cheaper than you. And not only that, you’ll end up running yourself into the ground to compete against all the others. And the customers that you’ll attract with this kind of business model, will be the type of customer who has lack mentality and in the end they end up being more of a problem for you. But hey that’s my opinion anyway. If that’s the way you want to go about it, then go for it and good luck to you! In saying that though, there are many people out there who would pay for the quality. Sometimes, it’s just a matter of shifting your mindset, believing that what you can offer is different and of the highest quality and pricing it at exactly that. So it’s really up to you how you want to position your brand. But once you decide on how you want to position, then you can get down into the fun part! The design! And this is the bit that I love! If you don’t have any idea where to start with this, it’s time to tap into you and what lights you up! The best way to collate your thoughts is to go out there and take a look at some other brands too. What brands do you love? What kind of colours are they using? What kind of imagery? How do they make you feel? How do you feel when you’re interacting with this brand? Start with the ones you love and write out why you love these particular brands. Next, write down what you want your customers to feel when they are interacting with your brand. What colours light you up? What ideas do you have? Get it all down on paper and just write down all the ideas that you have about your brand. What images would you like to use? What colours? Do you want to have the feeling of quality? What kind of feel do you want to portray? Antique? Or vibrant and young? Once you have a little bit of an idea, get yourself onto Pinterest! So let’s say for example, you want to design your brand to have a tropical feel. You can search colour swatches in blue or green and save any images that inspire you. You can search palm trees, or tropical beaches and save images that catch your eye. By adding more images to your board, the idea for your business brand design will start to take a life of it’s own. You’ll find your creative juices start to flow. Ideas for your logo… the fonts you use… ideas for your website… all your marketing material… facebook ads… will all come together. The power of visual images is astounding, so give this a go and I’d really love to see what you come up with. Send me an email at Joveline@wildwomanrunfree.com if you need a little help with this, or if you’d like to share your project. I’ll be more than happy to help. Ok, so I hope this has been beneficial for you ladies! Hey if you haven’t subscribed to the Wild Woman Run Free podcast, check it out on iTunes or Stitcher. I would really love it if you could leave a review too, that would really mean a lot to me. And if you want to join the Wild Woman Run Free community, you can do so here! Before I go, I want you to know that every woman has the potential to own and run a business that they love! So if you’ve ever thought about starting one… don’t be afraid to do so. It’s crazy how much you can learn, building your own business. It’s so worth it! Until we meet again Wild Woman. Live Wild, Live Free, Wild Woman Run Free!